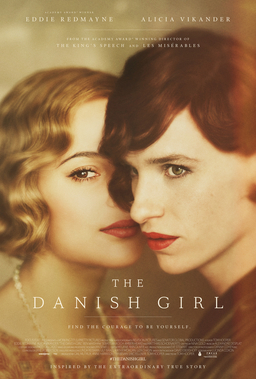 Synopsis: A fictitious love story loosely inspired by the lives of Danish artists Lili Elbe and Gerda Wegener. Lili and Gerda’s marriage and work evolve as they navigate Lili’s groundbreaking journey as a transgender pioneer. Did You Know? Eddie Redmayne was in the early stages of filming for The Danish Girl when he was granted a weekend break to attend the 87th Oscar ceremony, during which he won Best Actor for his work in The Theory of Everything. Quotables: GERDA: Perhaps if you’d let me speak, then things would be clearer. A Word from the Guise: I am not familiar with the story of Lili Elbe, so this biopic is the only thing I have to go on. But it is an important story that should be told. I am a cis-male, and therefore I cannot begin to fathom what transgender people go through, the battles they must fight within and without. I do so wish, however, that a trans actor had been cast in the role rather than Eddie Redmayne. Do not get me wrong, Redmayne is a tremendously versatile actor with incredible ability. But he is, again, a cis-male. When I see a cis-male play a trans-female or a cis-female play a trans-male, it makes me think that the filmmakers believed that the trans-male is really cis-female or the trans-female is really cis-male, which is a grievous mistake when telling the story of a trans character. This film is powerful, but it could have been so much more powerful. I’m astounded that Alicia Vikander was nominated for Best Supporting Actress instead of Best Actress. The film is equally about her character as it is about Eddie Redmayne’s character, possibly more so. Regardless, she is my favourite for the Oscar. And I would definitely rather see Redmayne win again over Leonardo DiCaprio for The Revenant (who is the projected favourite).